Southern Loggin’ Times’ December issue spotlights Bubba Sullivan and his Sullivan Timber business, as promising developments involving his main market have him looking eagerly toward the New Year. 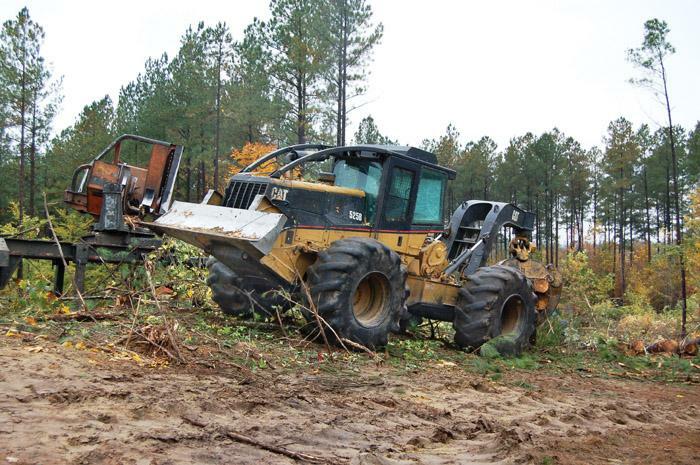 Also featured is Virginia’s Simmons Logging, a business grounded in positive attitudes, a good crew, and teamwork. 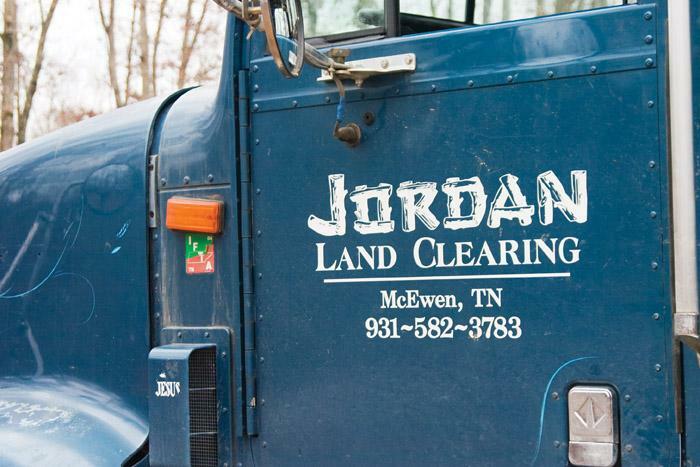 The issue highlights Tennessee’s Jay Jordan, whose business Jordan Land Clearing is seeing market upturn in west Tennessee. 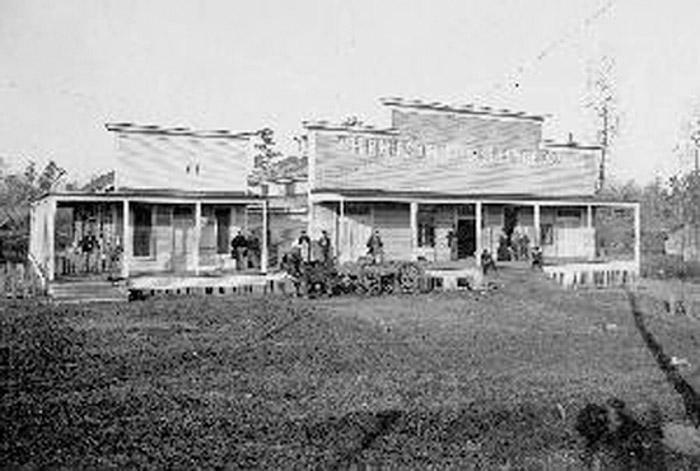 The Nameless Texas Towns saga continues with another excerpt in the serialization. 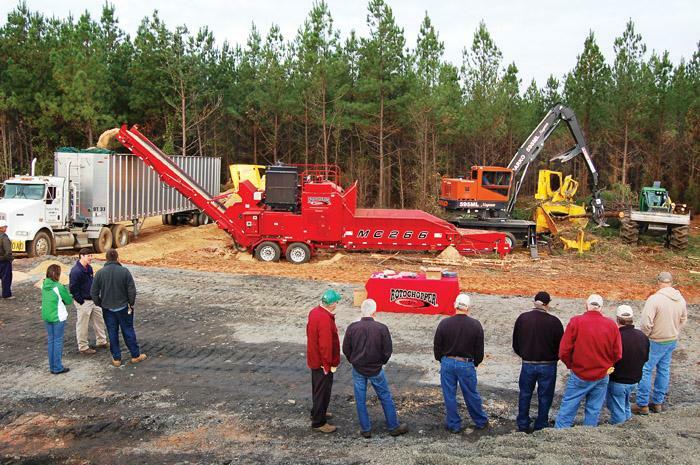 On November 17 Rotochopper, Cutting Systems, Forest Pro and James River Equipment collectively demonstrated that making quality pellet fuel in the woods is feasible. The event was coordinated by Jody Parker with Rotochopper and hosted by Forest Pro, the Barko/CSI dealer at Scottsville, Va. Several loggers, foresters and sawmill representatives were greeted by agents of the manufacturers and dealers. 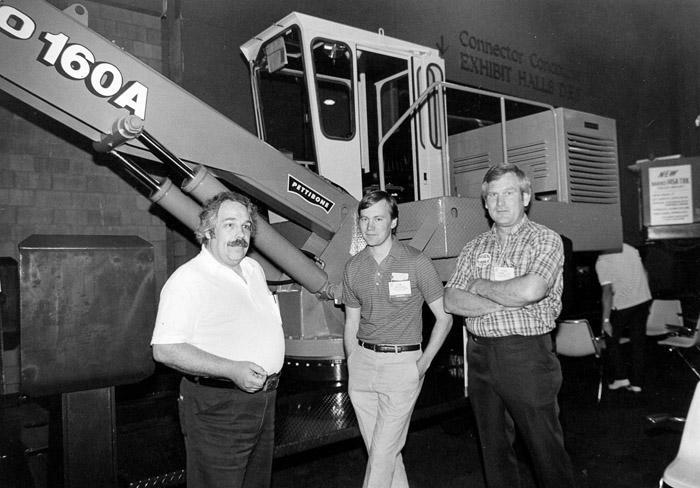 At the SFPA Expo in Atlanta in 1985, a much younger equipment man, Mike Guy, right, visited with Barko’s Jerry Nykanen, left, and Dan Ahonen. Nykanen, Ahonen and the model 160A are long gone, but Guy remains at the helm of G&S Equipment in Prattville and Tuscaloosa, Ala. Among other brands, he still sells and services the Barko loader line.